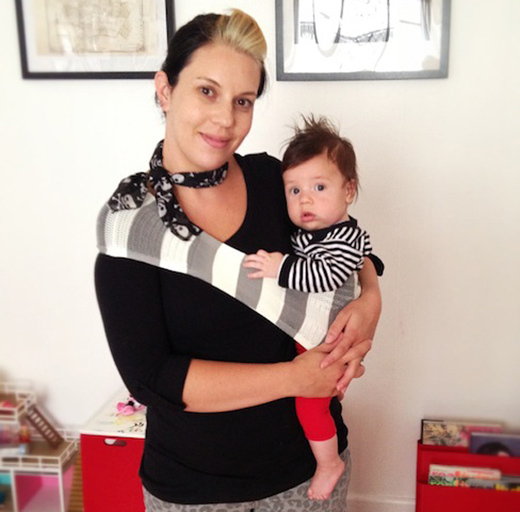 With so many second and third babies born to Babyology team members recently, many of us have taken to baby carrying as we learn to juggle the demands of more than one child. That’s our Managing Editor and little Audrey, in the image above, testing out a sling recently in Thailand. We have all been thrilled to try out the Suppori baby sling thanks to Little m as we have five new Babyology babies on the team right now! 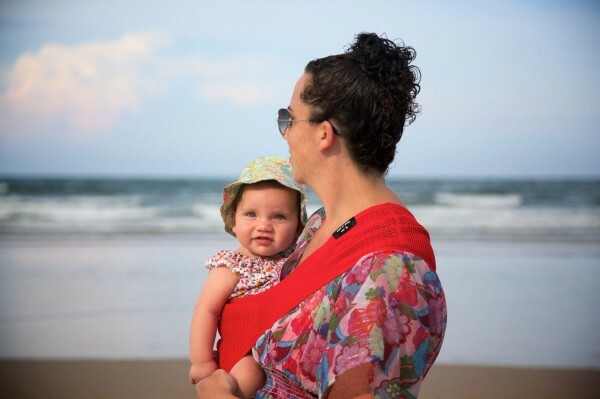 I’ve always liked the concept of carrying my baby around with ease in a sling, and when my daughter was born three years ago I trialled a couple. However, I somehow got myself in a tangle and couldn’t manage to get her in a comfy position. I’d end up all hot and bothered with a cross baby being caught up in my crazy mess. So when I tried the Suppori sling, saw the simple design with no buckles or adjustments, and watched the simple demonstration video on the website, I knew I had found the right sling for me! As soon my sling arrived in the mail, I tried it out with my three-month-old son and for once it was a breeze to put on and get my baby comfy. When folded, the sling takes up barely any space which means I can pop it in my bag every time I go out so I’m more likely to have it with me when I want to use it. There’s a huge choice of colours and prints, including modern bold stripes, so they look fantastic too. This sling has definitely made my life just that little bit easier, and I still feel stylish while I’m wearing it. With a massive thirty colours to select from, no matter your sense of style, there’ll be something to suit you. Bub stays snuggled close to the parent whilst remaining upright and maintaining the sense of independence that babies of sitting age don’t mind when out and about. You can see Anjee’s adorable baby boy below, happy and contented and most definitely comfy. Just pick the right size using the easy-to-use size chart, pop the lightweight sling in your bag and you’ll always have it with you when you need it. Buy yours from Little m for $57.95.